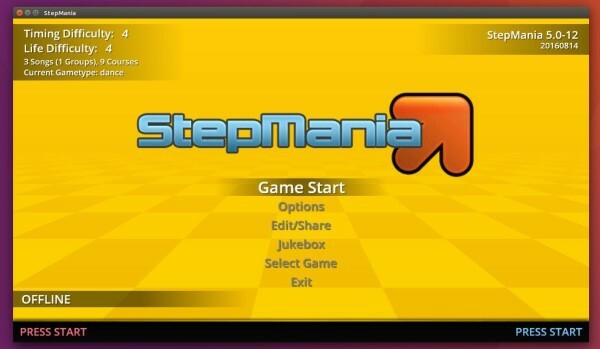 StepMania, an open-source and advanced cross-platform rhythm game, has reached the 5.0.12 release after a month and two weeks of release candidate testing. 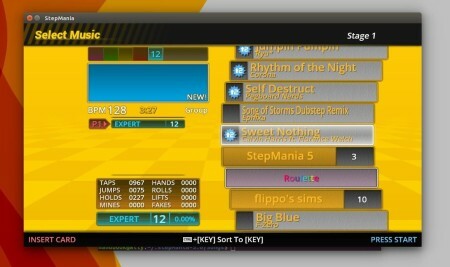 StepMania 5.0.12 is probably the last maintain release for the 5.0 series. The developers are no focusing on the development of StepMania 5.1 branch. Fixed bug that allowed pausing by pressing Select then Back. Pausing requires pressing the same button twice. Default theme ignores holding Select, or Start during gameplay. The pause menu must be used to back out of a song. Added AllowHoldForOptions preference. When this is set to 0 (off), going to the player options screen requires pressing Start a second time, instead of holding it. Fixed bug that deleted a warp on the same beat as a stop when saving. Ready and Go announcer sounds no longer play simultaneously. Fixed cmake settings so that player profiles can be loaded from USB drives once again. Fixed crash in loading profiles from USB drives. Besides running the official Linux binary (non-install version in previous link), an unofficial PPA with stepmania packages for Ubuntu 16.04 and Ubuntu 14.04 is available. And below is how to install the StepMania 5.0.12 via the PPA. 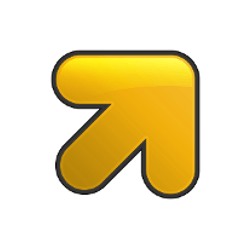 For those who don’t want to add PPA, grab the .deb packages of stepmania-data and then stepmania for 5.0.12 from HERE.